Erie Technical Systems provides integrated dust-free bag break stations. 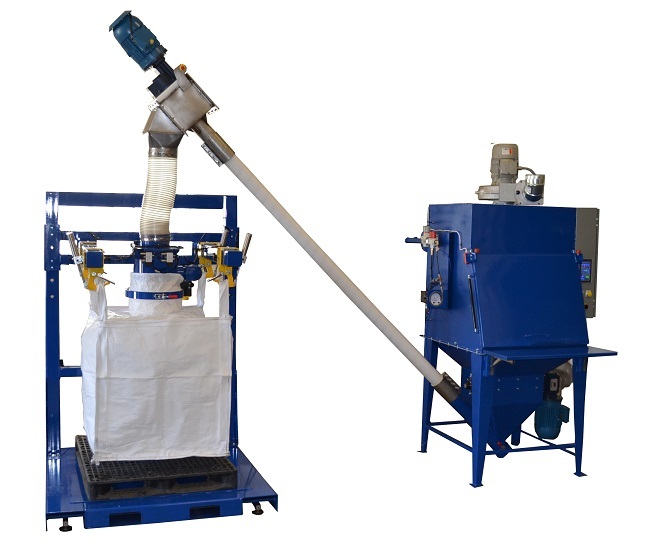 These systems are designed to break small 50-100-lb bags in a dust-free environment and transfer the material using an integral FlexMAX flexible screw conveyor to any downstream process. In this case, the material is transferred to a standard ValuMAX bulk bag filler for 2200-lb bulk bags. The system features a self-cleaning filtration system to collect dust away from the operators.